Docker is encoded in Buddy’s DNA. Most of pipeline actions, like builds or shell commands, are performed in Docker containers. With Buddy you can build Docker images and push them to a registry. You can also integrate with Kubernetes and Google to manage your Docker clusters. 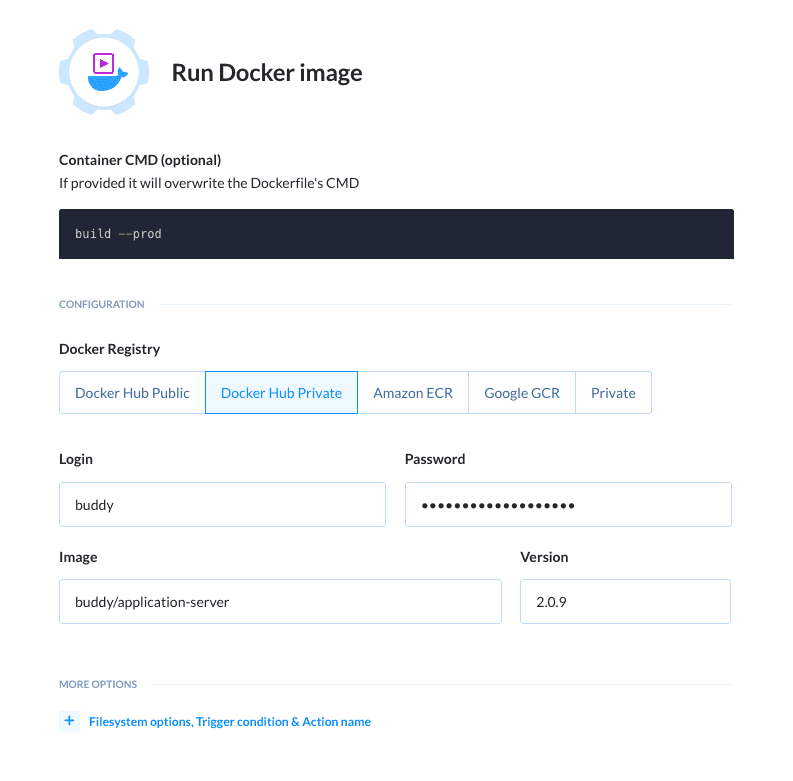 In response to demand from other Docker enthusiasts, we have added an option to run Docker containers with a dedicated action. The action can be found in the – surprise – Docker section of the action list. 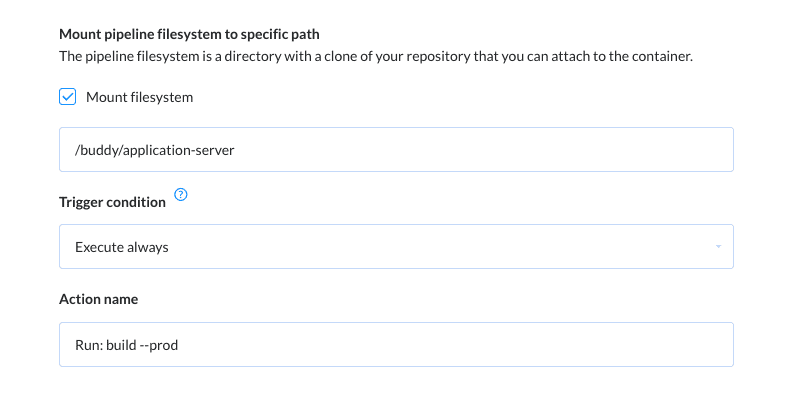 You can select any Docker image by providing the URL and authorization data. Buddy also sports dedicated support for Docker Hub, Amazon ECR and Google GCR. You can also enter the command that will be run on the container start-up. Another option is mounting the filesystem to a working container. This allows you to save the results of commands executed in the container and use them in other actions in your pipeline. In the next release we’re going to add an option that will let you push the built image to multiple registries at once. In the future, we want to expand the palette of K8s actions and add a dedicated support for Docker Swarm. Stay tuned!